It’ll be a while before most of the devices receive the update as the beta testing has only just begun. Besides, Xiaomi isn’t known for its snappy updates and often leave several devices running on an older version of Android with no update path in sight. 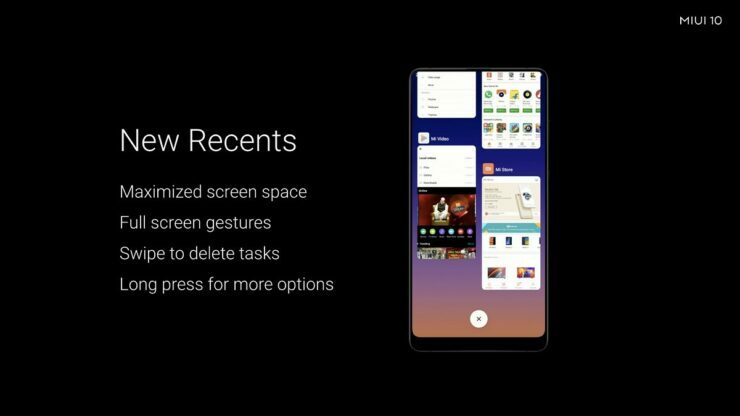 Now, let’s take a look at the changes MIUI 10 brings to the table. One of the inherent disadvantages of a heavily-customised Android fork such as MIUI is that it slows down to a crawl over a period. Which is why constant under-the-hood changes need to be made periodically to keep things snappy. 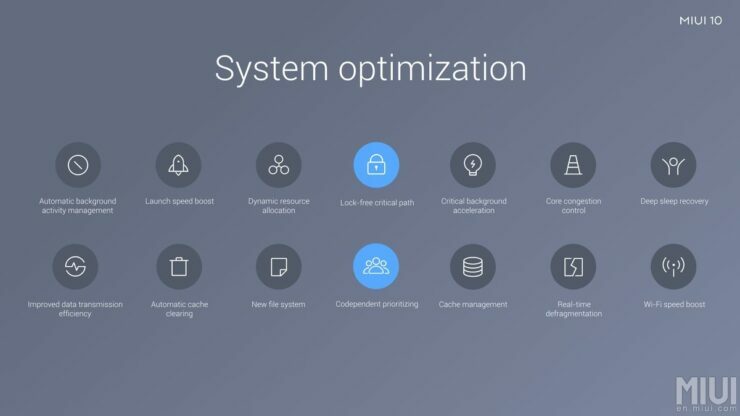 Like previous MIUI versions, Xiaomi has brought several optimisations for background activity management, launch speed, deep sleep recovery, cache management, Wi-Fi, and a lot of other stuff, as seen in the image above. Most of the recent Xiaomi devices have been coming with a near bezel-less setup and a panel with an 18:9 aspect ration. 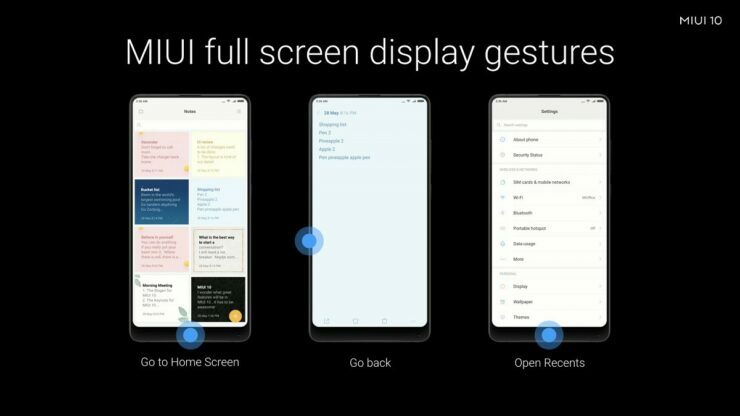 To adapt to the new design standard, MIUI has implemented some new design principles in MIUI 10. It has new gestures for going home, backing out, and checking out recent apps. The recents screen got updated too. It now shows running apps on the full screen without wasting any space. The current standard in Recents is a horizontal view, but, it is not optimized for 18:9 or 19:9 screen ratios. Which is why Xiaomi switched to a vertical list of recent apps. 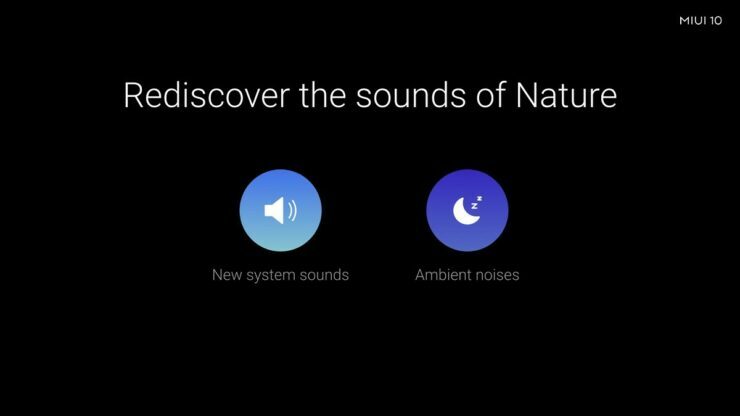 MIUI 10 comes with new and unique sounds. Notifications now have water sounds. And each one of them is unique. Additionally, no two notification sounds on MIUI 10 are the same, which means that if you get multiple notifications in quick succession, each one will sound different. You’ll hear a sound when you delete things, like notes, contacts, or photos. The update also brings new ambient noise such as the ones heard in a beach, forest, and drizzle sounds. The ambient noises are built into a timer app. All you need to do is to navigate to the timer app and get yourself a dose of nature. Long story short, MIUI is trying to pull what Google did with the Pixel 2 last year. Xiaomi has deep learning algorithms that are based on more than 100,000 photos, which will help apply a depth of field effect to photos that lack a dedicate sensor for the same. 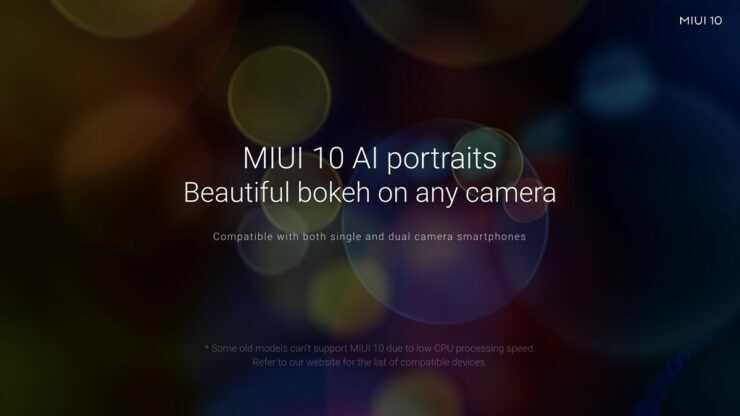 The new feature is built into MIUI 10, so all devices that receive MIUI 10 will have the ability to take bokeh photos. 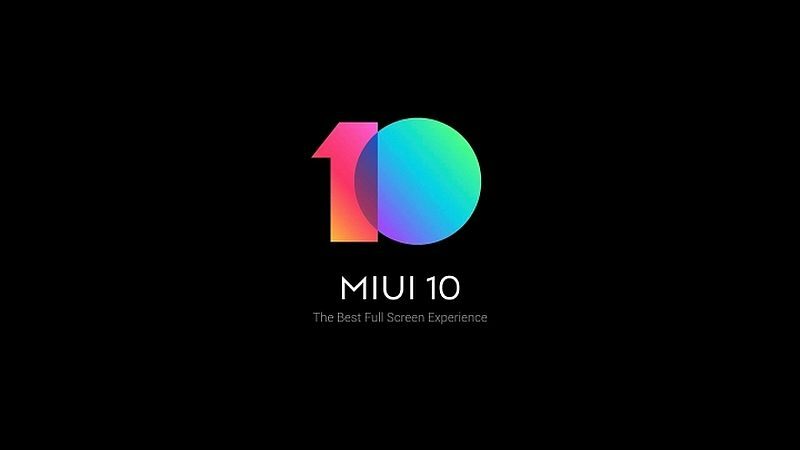 Lastly, MIUI 10 also has some India-centric changes which include a new browser, video player and music player. There is also an option in the camera UI to directly scan QR code to make payments easier. The messaging app gets a new feature too, which lets you locate an ATM/Branch of a bank when you receive an SMS from said bank.